Industrial Fire Protection Systems | J.O. Mory Inc.
J.O. Mory Inc. Fire Protection brings installation and service to our industrial customers with design, installation, and maintenance in mind. Our in-house design capability can meet your insurance and hazard requirements and is backed by NICET certified design and document support. 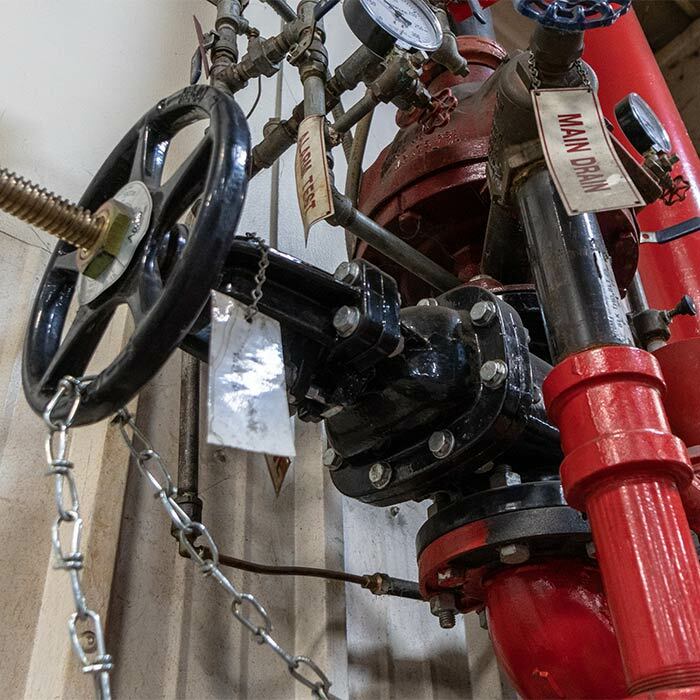 You can be sure that our fire protection system design for your facility will satisfy both building and insurance codes and standards. Our installers are qualified and support the installation with maintenance and inspection services. Systems from the standard wet system to fire pumps and accessories utilizing equipment from local suppliers and manufacturers to insure 100% operational support.